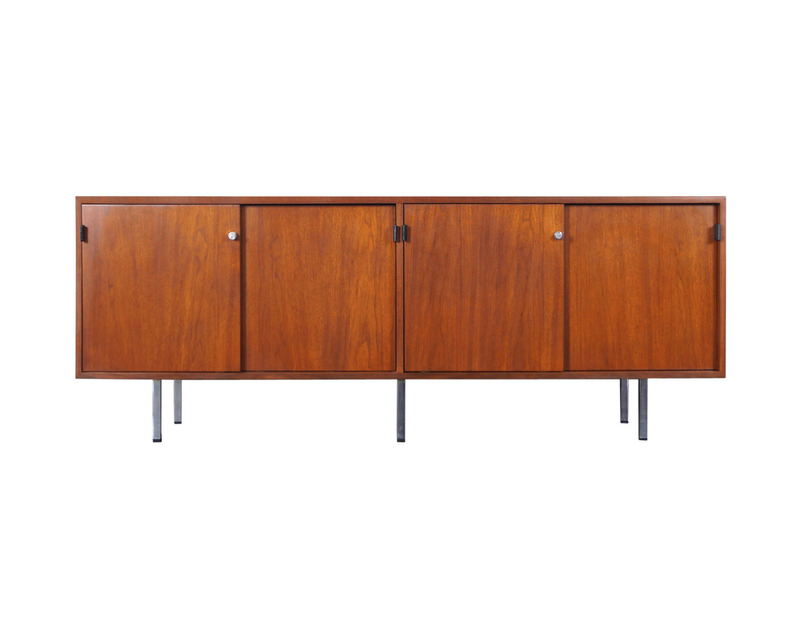 This gorgeous vintage walnut credenza was designed by Florence Knoll for Knoll International. The interior consists of four dovetail drawers, file drawer, pull-out shelf, and two adjustable shelves. Original leather pulls and key included.